Visitors enjoy breakfast and conversation at the 52nd annual jUNe Day celebration, Saturday, June 24, 2017, at Saugatuck Elementary School in Westport, Conn.
WESTPORT — Continuing its tradition of inclusivity and multi-national awareness, Westport hosted its 52nd annual jUNe Day celebration Saturday. 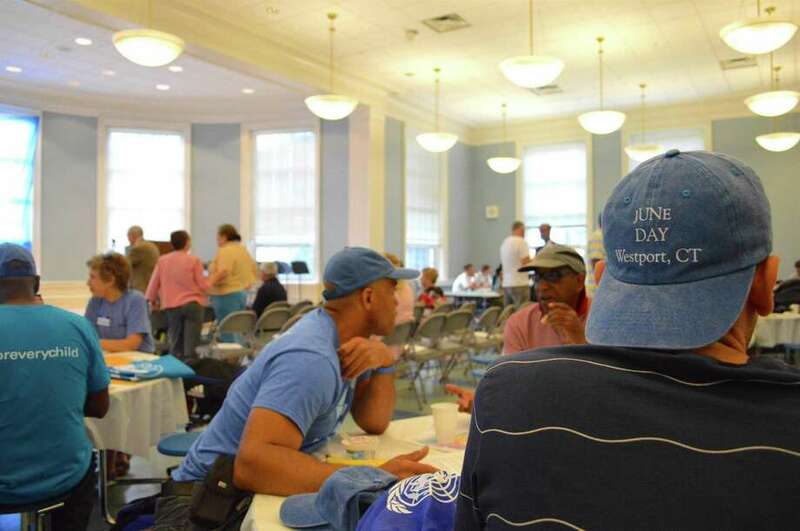 Over 100 employees of the United Nations came to town with their families for a celebration of friendship and a chance for these city dwellers to enjoy some of the town’s amenities, including Compo Beach, Earthplace, and more. The day began with breakfast and several speeches at Saugatuck Elementary School. “Our mission is to promote and support a better understanding of the mission of the United Nations,” said Bill Haas, president of the United Nations Association.